Emmanuel Presbyterian Church finds it's early history going back before the foundation of the United States. 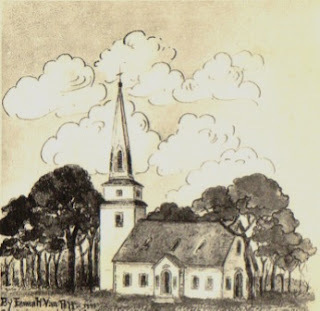 Their early members were part of the Presbyterian Church in Morristown, which held to the Westminster Standards and began in 1733. In 1738, the church received a charter issued by King George II of England; and in 1742, the congregation called Rev. Timothy Johnes as its first pastor. Fast forward to the early 20th century, and we find that the Presbyterian Church in Morristown was rapidly becoming liberal. There were some liberals and some conservatives church officers. Therefore a scheme was developed to weaken the conservatives hold on the Presbyterian Church in Morristown. In 1925 a union of the First Church and South Street Church was proposed to weaken/remove conservatives in the leadership. The members that understood what this merger really was - protested by withdrawing their membership and forming Emmanuel Presbyterian Church. Note: In the early days Reverend Gresham Machen was a supporter and stated supply for the newly formed Emmanuel Congregation. By the way, it was Machen that shepherded the congregation away from a modern loosely worded translation of the English Bible and back to a more literal version of the Bible. "Many people think that we in this little church are fanatics because we oppose not only denial of doctrine but also indifference or wavering adherence to it. They see no reason for getting excited. In this they certainly do not follow Jude. Jude got excited. False teaching roused him to action. False teaching should rouse us, too." About Emmanuel In Whippany Current Status: Please see my first post.